B.R. Howard was contacted by Dickinson College to conserve a large Schofield painting for an upcoming exhibit at the college. Walter Elmer Schofield was an American landscape and marine painter that was born in Philadelphia. 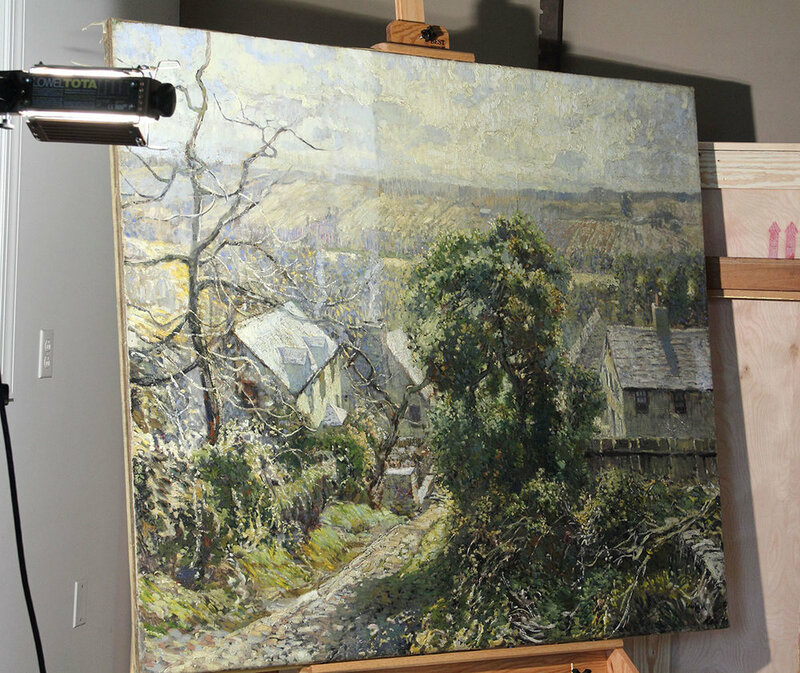 He eventually came to reside in England where he painted landscapes of England, France, California and Connecticut. His paintings are found in private collections and exhibited in museums throughout the United States and Europe. The painting was crated and transported back to our conservation lab where it was extensively photo documented before it was removed from the frame. Aqueous cleaning solutions were tested how to best remove the dirt and darkened varnish layer that covered the surface before the cleaning was performed. 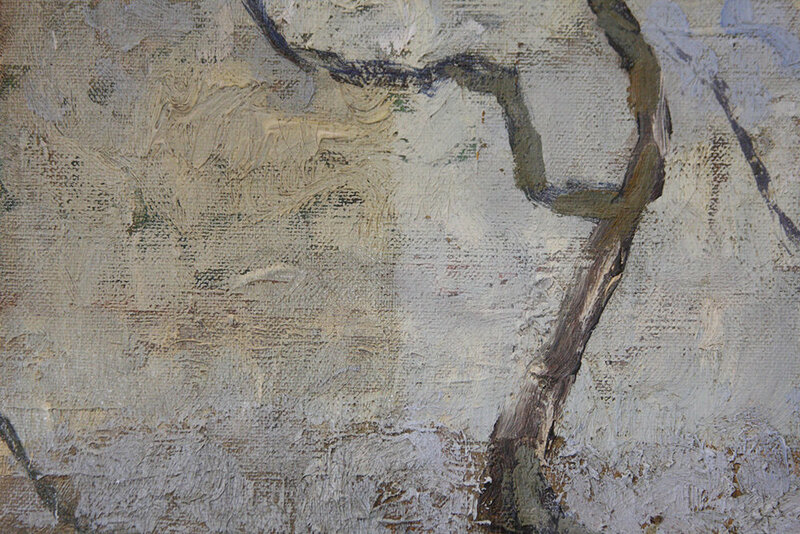 Masking tape was found on the tacking edges or the painting and was carefully removed. 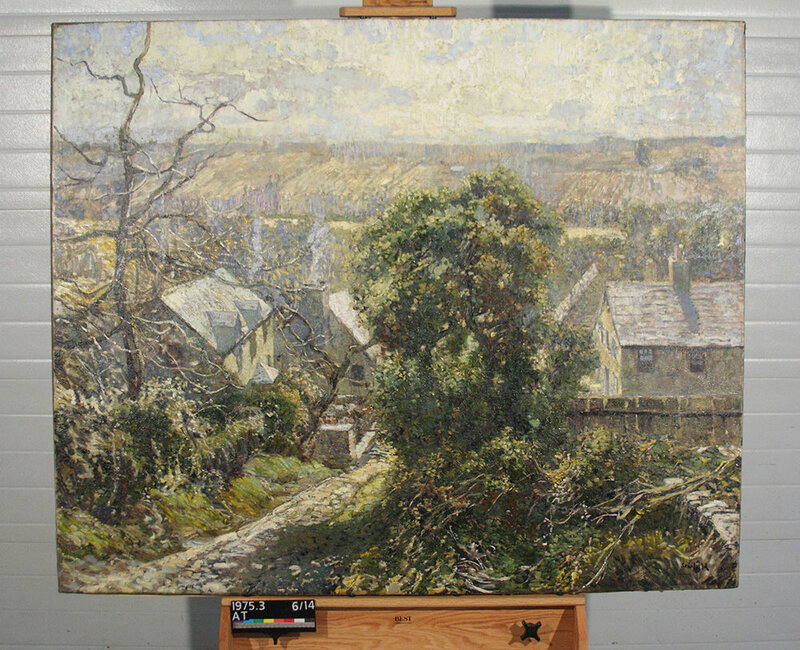 An isolation varnish was spray apply to the surface of the painting before minor abrasions and scrapes were filled and in-painted using a reversible painting pallet. The original hanging wire brackets were replaced with new D-ring hangers and braided hanging wire before it was returned to the college for display.